"The Author, it must be remembered, writes from his own standpoint!" If you have a question not covered in this blog feel free to send it to me at my email address, i.e. "snow" dot here "covered" dot here "bamboo" AT symbol here "gmail" dot here "com"
Warning, Caveat and Note: The postings on this blog are my interpretation of readings, studies and experiences therefore errors and omissions are mine and mine alone. The content surrounding the extracts of books, see bibliography on this blog site, are also mine and mine alone therefore errors and omissions are also mine and mine alone and therefore why I highly recommended one read, study, research and fact find the material for clarity. My effort here is self-clarity toward a fuller understanding of the subject matter. See the bibliography for information on the books. Note: I will endevor to provide a bibliography and italicize any direct quotes from the materials I use for this blog. If there are mistakes, errors, and/or omissions, I take full responsibility for them as they are mine and mine alone. If you find any mistakes, errors, and/or omissions please comment and let me know along with the correct information and/or sources. I have seen the "tori gate" on web sites, on training halls, and on certificates of rank but wondered if anyone was knowledgeable as to what a tori gate is. I have used it on occasion simply because I find them beautiful to look at. I have one I used for a graphic that now resides on the computer at work as a desktop theme. I was inspired to post on this today as I read a chapter in a book that explained the tori gate with information I did not know. 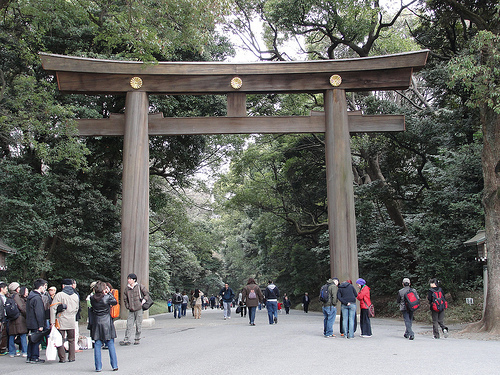 The tori is the gate that one passes through when entering a "Shinto" shrine. It is symbolic of Japan. Its primary function as I said is to mark the boundary to the shrine. The tori gate also speaks in silence to those who pass under it, you are entering and now inside a sacred place and you shall behave accordingly. Traditionally that means to be quiet and behave reverently at all times. If you visit Japan and take in one of its many attractions, a shinto shrine, it behooves you to find out the etiquette and follow it. Be on guard and diligently remain aware of the unspoken rules to keep within the countries etiquette and customs - remain respectful. Also, you will note that the tori gate also has, often, two stone statues of Korean dogs that guard one side and the other of the entrance. They are slightly asymmetrical, one with its mouth open, and the other closed. I don't know the significance of that part. I am not totally sure if the tori gates are used elsewhere in Japan and/or in Okinawa. I wonder if they are used at either countries dojo entrances. I can understand if they are used that it might signify that one is entering a place they consider sacred in that a serious endeavor is taken on when you enter the dojo and that it marks the boundary of the dojo. It would also fit that when entering you must be quiet and respectful at all times, etiquette being what it is in Japan and Okinawa - of varying degrees and customary traits. I am not sure if it is appropriate if used at dojo but I suspect it is not exactly what they are meant for when added to certificates and other such stuff. I did try my best to find information as to its usage beyond the Shinto Shrine entrance with no luck, maybe one of my readers can shed light on this. It does bring to mind that in my practice I might take a moment to consider this before using one for some purpose other than Shinto related respect for Shinto shrines. What is the etiquette for tori gates or rather what is the shikata for tori gate usage? I did find someone's statement that said, "As I understand it the Asian tori gate represent a entrance to a sacred area, leaving the outside world and entering another... very fitting for MA." In our perception of the dojo and the act of "mokuso" it is a belief that one must leave all their outside world concerns at that point and are entering into an area of concentrated effort and study which is derived from Buddhist, Shinto and Zen origins - maybe. Tori Gate to Meji Shrine Japan, click for larger view. Addendum: I forgot, Shimabuku Sensei (Tatsuo that is) does have a tori style gate at the entrance to his honbu dojo. I also understand that some Sensei with dojo who are strict Shinto'ist, etc. tend to have one at the entrance as well although I am unable to confirm. Note: It is a theory that since karate training is also performed at shrines and burial places that they naturally created the same environment with the torii gates, etc. This one is remarkable as it is the only object that remains after either the Hiroshima or Nagasaki atomic bombing that ended world war II. Etiquette - Are We Doing It Right? 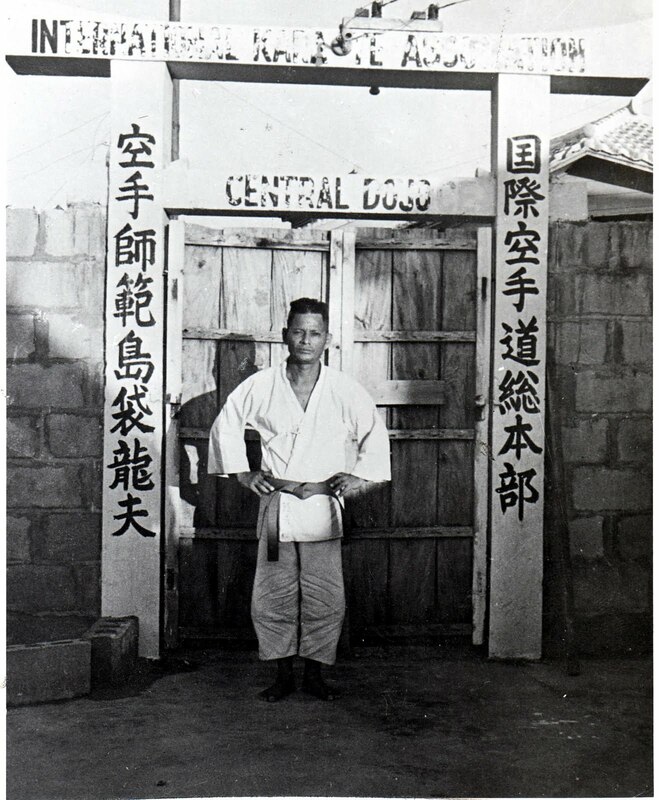 Ever a bone of contention among martial artists who want to adhere or assume all or some of the Japanese etiquette such as bowing, use of titles, and the use of names. Americans don't necessarily need to use the Asian forms of etiquette but it would be advisable to try wholeheartedly to learn the fundamentals if you decide to take your studies to Japan and/or to Okinawa. 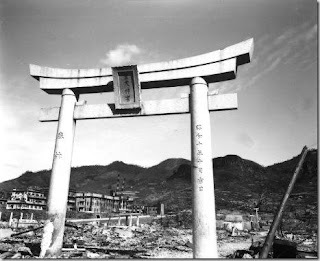 First, as to Okinawa and Japan, the distinctions may not be a far apart as one might imagine. After all, the Okinawans over the years and even centuries have been able to keep their core culture intact even when pushed to change by the Chinese or the Japanese - when Japan pushed into their lives around 1600, I think. Another consideration here is that both the Okinawans and the Japanese were heavily influenced by China. So, it might bring the two closer in the etiquette department simply because they both took from and created from the Chinese their forms of etiquette and thus their unique cultures. The use of names, use the last name and to add formality and politeness add the -san to the end. When it is added to either the last name or a title it shows respect and is perceived like our use of Mr., Mrs., or Miss. It is used when talking to both men and women. Adding "chan" to a first name is not recommended. Rei, the bow. First know that the bow is not just a formality of the martial art dojo. It is cultural and traditional method of expressing such things as a greeting, respect, when apologizing, displaying humility and when you understand and accept something. The world of the martial arts uses the term "rei" but actually the term used in a traditional Japanese is "o-jigi / oh-jee-ghee." In a nutshell as a martial artist you should use what is called the "medium bow." Medium Bow: Arms extended downward; hands rest on the legs above the knee; body bent to about 45 degrees angle; normally held for two to three seconds except when you wish to add more meaning to it. Generally, use the medium bow to greet those senior to you or to whom you wish to show a special degree of respect and when expressing feelings of humility, sorrow, or an apology to someone. If you encounter, say in the dojo, the same highly place senior several times in one day you greet them with the medium bow the first time that day then a light bow thereafter. Ok, what I am getting at is if you wish to incorporate a more traditional aspect to your training hall then at least find out what that means and at least, a minimum, stick to this simple guide to get it "right" otherwise give it a rest and leave it alone - use the American etiquette way. Caveat: this is my personal understanding that came about today, the 21st of December 2011, due to my continued studies. i have casually related it to the martial systems with the knowledge more informed and experienced practitioners with considerable experience in Japan and/or Okinawa may state otherwise. if so, go with their interpretations as they have the experience. this is an attempt to at least pass along a form that will be looked upon as a genuine attempt to honor the Japanese way as best as a foreigner can without being seen as impolite, insincere or insulting. When can I begin to spar, fight or do self-defense? Ahh, this is the nut to crack don't you think. Watching sempai practice kumite, all brands of kumite, is exciting. Many newbies want so bad to get there and get there fast. As a fledgling practitioner and especially as a Sensei you must "resist" the temptations to allow speedy arrival at the kumite gate. I do not allow kumite of any form until a practitioner reaches a "green belt or go-ku level." They must really learn, understand and apply in a controlled manner all the fundamental principles as applied to the upper and lower basic waza and the first kata (green belt in some cases means performing three of the kata but for my teachings I prefer they truly understand one kata and the fundamental waza first as done maintaining adherence to fundamental principles). Habits, reflexive actions and proper waza applications can be learned either correctly or incorrectly. It must be remembered that "unlearning" something that has become instinctive, reflexive and automatic is very tough and you don't want to find out it failed you in a live situation. If an untrained person jumps immediately into kumite, except controlled one, two and five step kumite drills, freestyle will find the mind will resort to what ever it finds in its encoding and apply it regardless of correctness, etc. If it works in these instances it will be reinforced and when the mess hits to oscillating blades it will fail and the owner will get damaged. When you move instinctively, reflexively, automatic-pilot mode the mind and body are one and if the principles are solid the motion and application of said principles will lengthen your line in relation to your attacker - you get minimal damage and find safety. Reflexive/instinctual action is superior to contrived action. Look at it as driving a car before you take driver's ed and get a license. You have to know the laws and the rules of the road before trying to drive. Should Dojo Speak or Use Japanese Karate Language? Hmmm, apparently there is another issue of concern that goes on in American Dojo of any martial system. I quote, "It often happens that speaking Japanese well or fairly well can be more of a disadvantage that a help." - see bibliography below. When you speak it, from the Japanese view, you are expected to act Japanese which in of itself creates a conundrum for Americans who incorporate it into their dojo - we are not Japanese and the only way we can even achieve any proficiency in this requires we immerse ourselves in the Japanese culture, which ain't happening. When we attempt, poorly, to use the language it can and often is viewed it sounds more direct, and often rude. The reason we don't perceive this as so is also, apparently, because of the Japanese culture. They are not going to tell us either and mostly don't expect us to see the unspoken context that would tell us that it is or was rude, etc. The Japanese are subject to an overwhelming desire to practice English, demonstrate their abilities, and accommodate foreigners. I can still see value in using kanji to find meaning of the culture surrounding the martial systems but in newly acquired knowledge would not use the actual language in the training hall. 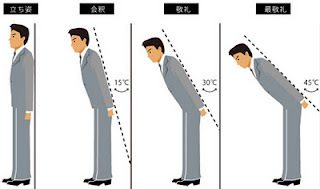 Even some of the names for technique, stances or kata can be butchered in pronunciation because we are not well versed, even a tiny bit, to the shikata governing communications. What it boils down to is the Japanese language and writing works through the holistic right brain while English and English writing are a atomistic left brain process - the two are as different as night and day. Kanji is more than pronunciation and ABC's of phonetic words, much more ..... how can we expect to understand when it takes Japanese their entire youth, age 4 or 5 to high school, etc., along with immersion in their own culture to gain a modicum of understanding of Kanji, Shikata, etc. yet we all do it, don't we? Changing, always changing .... isn't it what life is all about? Mike Clarke Sensei of the Shinseidokan Dojo blog posted: "How Times Have Changed ...... " and I wonder what folks think of his post. I am still looking at the clip with a plan on watching it several times until I am satisfied I can see both the literal and those spaces in between before I post a comment, if I post a comment. Why do we tend to think a greater number of systems, styles and belts has meaning, value and importance? We have brains, hopefully. Our brains tend to work in certain ways, generally, according to cultures, times and locations. Our brains quantify everything our senses perceive in the world. It is integrated into every single facet of human life. It is a part of the function of our brains like DNA to life itself. Our brains encode, it takes information and places it into units of quantity. Along with language influences of the brain we, the brain that is, assigns numeric labels to allow us to understand concepts such as 1, 2, 3, etc. We even assign emotional effects value as numbers. Numbers are symbolic and perceived as lucky or unlucky, i.e. 13 to most Americans is perceived as unlucky. You won't find a thirteenth floor in hotels, etc. Such beliefs are passed down from father to son, mother to daughter, family to family, and generation to generation. Beliefs are based on myths and the more frequent they are repeated the more difficult they are to ignore, change or get rid of. Numbers, we give greater value and credence to numbers as they grow. "Five" bucks is of greater value than "one" buck. We see larger numbers as if they validate our belief that the greater the number the more impressive it is so it just goes to say that our thought that having five black belts is of course a greater achievement than one black belt. Having five or six different styles or systems in our resume for martial arts has the ability to "impress" others as a greater achievement than just "one system." Once this is established then it is a race to see how many and how fast you can accumulate black belts, styles or systems and of course trophies. We are programmed by our brain functions to assume greater of any thing tends to mean "more." 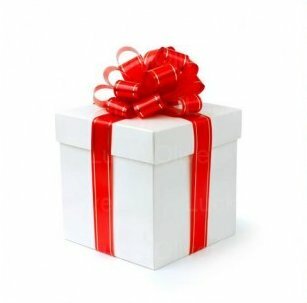 What would you like for your Karate Christmas List this Year? Recently I read a blog that had the most excellent list for Christmas and it got me to thinking of what I would like or wish for Christmas, for me and for all karate-ka. 1. The true essence of Okinawan Karate Jutsu Do be experienced, embraced and practiced by every single karate person in the world. 2. The true spirit of Okinawan Karate Jutsu Do be experienced, embraced and practiced by every single karate person in the world. 3. The entire karate community joins hands and comes to a mutual understanding that spans the reality gaps that exist and achieve true enlightenment toward a system that embraces the uniqueness all styles and branches for a wholehearted community of karate-ka. I could ask that this be also the 2012 New Year's resolution that all karate-ka in all parts of the world embrace for all time. Oh yea, and world peace would be kind of cool too. How do you move in karate? The arms? The legs? Isn't how we move the crux of applying technique with power? Isn't economic motion, conserving energy, dependent on how we move? Is movement simply where we put our feet and set our stance? Is movement simply that movement that comes from the mid-section? What is movement in karate and how and why do we move in any particular way? This is a complex question or questions with both a simple and complex set of answers. Movement, sometimes called "tenshin, taihai, taisabaki, tensho, yukkuri, hyomengi, [lets assume those terms in Japanese are actually accurate/correct for this post/discussion :-)] etc." Notice it is not just one term to explain the simplicity and complexity of moving in karate or martial system. In an atomistic viewing of movement to learn, teach and practice one must look at all the individual parts then as time passes and proficiency increases blend them back into the "one holistic whole" of karate movement to truly encode it to the brain, i.e. muscle memory if that helps. In reality the movement in karate is the symbiotic relations of the hara, the feet, the body alignment and structure, the torso, the shoulders, the arms and legs as well as the various implements; fists, elbows, hands, fingers, forearms, knees, shins, ball of foot, ridge of foot, instep of foot, etc. when it contacts and transfers body power to the target. And, I haven't actually gotten all of it down in this short and incomplete posting. When a new person says they want to fight they sometimes get discouraged, most times quit, when they are told to continue to practice the fundamentals over and over and over and over and over ..... the foundation is crucial and those things that we learn to build the foundation of karate contain all of this stuff. When you see karate knuckles, what thoughts come to mind? I was once asked if it were necessary to achieve what I call karate knuckles to practice and apply karate and my answer was a quick and final, "no." I train/trained with the makiwara. I still do but less than when I began karate. I believe in the makiwara as a training tool for karate-ka. I don't require it of any student but I will teach it and let a student know if they intend to practice a traditional/classical form of karate then it is a part and parcel of that practice. So, back to the question, what thoughts come to your mind when you see a karate-ka with the below karate knuckles? Monkey on Soapbox - Danger Will Robinson! This Internet Site is for informational purposes only, strictly an academic endeavor, so do not try to practice or utilize any of the information contained herein with out close mentoring by a complete and fully qualified Sensei. Your participation is voluntary when you practice FA/MA so the onus is on you to provide for your own safety. You MUST have a qualified Sensei and you MUST have a physician's health assessment along with his/her approval to enter into and participate in any and all fighting/martial art. Understand that to participate continually and diligently you will be voluntarily submitting your mind and body to potentially dangerous activity that is strenuous with both mental and physical challenges. Your practice, both in the Dojo and on your own, opens you to possible injuries that can result in permanent disability, deformity, or even death. It is your responsibility to remain focused, aware, and take appropriate actions to provide for your own safety, health, and well-being. If any part of your practice is questionable you are the only one responsible to bring it to Sensei's attention and to either participate of not. You MUST work within your personal limitations. Every effort is being made to make this blog site as accurate as possible. However, there may be mistakes, both typographical and in content. Therefore, this blog should be used only as a general guide and not the ultimate source of practicing and training in the fighting arts. Furthermore, this blog site contains information on the fighting arts that is current only up to the publishing date and time. The purpose of this blog site is to educate and entertain. The author shall have neither liability nor responsibility to any person or entity with respect to any loss or damage caused, or alleged to have been caused , directly or indirectly, by the information contained in this blog site. When it comes to martial arts, fighting arts or self-defense, etc. nothing here no matter how well presented, can substitute for qualified professional, hands on instruction provided that instructor is properly educated and trained. This blog site and all its materials are for academic study ONLY. If you do not wish to be bound by the above, you may navigate away from the site at any time. Tomoe Publishing. Simple theme. Powered by Blogger.